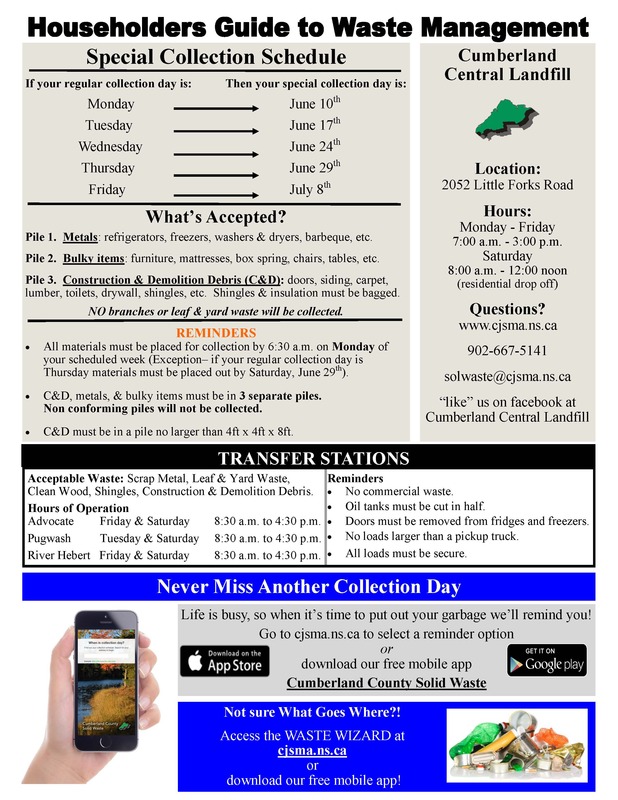 Download the Cumberland Joint Services Management Authority's free Solid Waste Mobile App by searching for Cumberland County Solid Waste in the App Store. Use your mobile phone to view collection schedules, receive collection reminders and service alerts for any interruptions to waste collection such as cancellations due to weather. 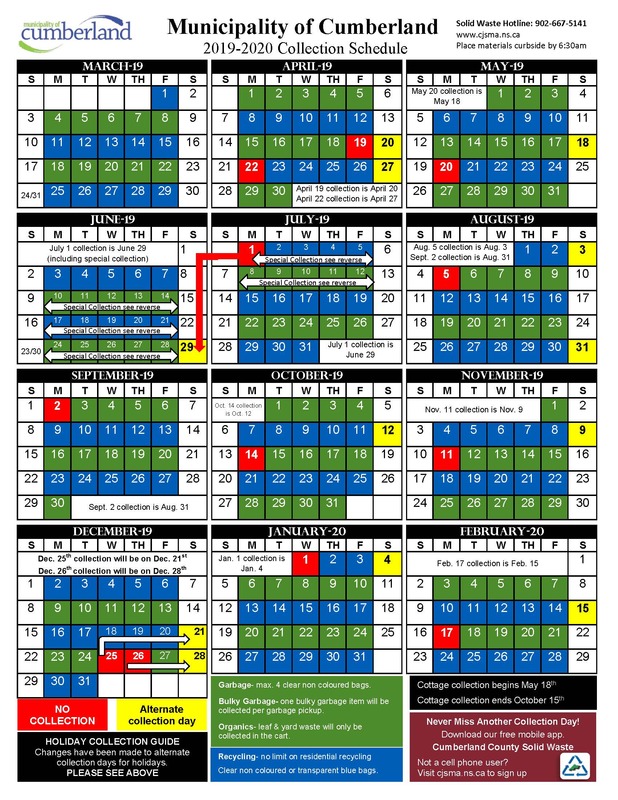 Residents can also sign up online by visiting www.cjsma.ns.ca. Wondering what goes where? Visit www.cjsma.ns.ca to use our new Waste Wizard and search our database of over 300 items for disposal options. The Cumberland Joint Services Management Authority is responsible for operating the solid waste facilities located at Little Forks, Cumberland County. This includes ensuring that the Provincial Solid Waste Regulations, including disposal bans, are followed. Visit cjsma.ns.ca or call (902) 667-5141. To report littering or illegal dumping, please fill out our electronic form at CJSMA.